YEREVAN (ArmRadio)— “The Armenian sides do not oppose the step-by-step resolution of the Karabakh conflict, but Azerbaijan should recognize the independence of the Nagorno-Karabakh Republic as a first step. Then it has to return the occupied territories (parts of Martakert region and Shahumyan) and start talks with Nagorno-Karabakh on further clarification of the state border,” Armenian Deputy Foreign Minister Shavarsh Kocharyan said in an interview with Public Radio of Armenia. Kocharyan noted that all documents – the Madrid Principles, the Kazan document, actually propose a package for bringing the approaches of the parties closer through mutual concessions. “Formally backing the package, Azerbaijan, in essence, puts the emphasis on points favorable for itself,” Kocharyan said. He continued by saying that all provisions of the documents on the negotiating table need to be reconsidered after the recent aggression unleashed by Azerbaijan. The recent developments showed that Azerbaijan has not refused from its policy of power and hatred for Armenians. First, he said, it’s only up to Nagorno-Karabakh to speak about territories. Second, speaking about concessions is useless, when Azerbaijan excludes any status for Karabakh. 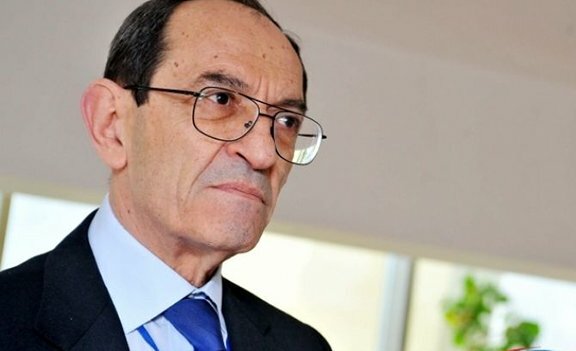 “Unilateral concessions are excluded,” Kocharyan stressed. He said resumption of talks is senseless as long as Azerbaijan is shooting. It will be possible to return to the negotiating table only after Azerbaijan stops firing, excludes the possibility of recurrence of such incidents in the future and when the people are prepared for peace and an atmosphere of trust is established. The pseudo-Turkish Azerbaijani slaves, their Turkish masters as well, must never be trusted and have to be dealt with utmost brutality for they are both anti-Armenian racist charlatans. The last time in recent memory the Armenians trusted the Azerbaijanis, and quite mistakenly, was the cease-fire of 1994 mediated by the Russians and begged for on his knees by the late Heydar Aliyev, the father of the current president and donkey-brain Illham Aliyev. Our trust in the Russian-mediated cease-fire on behalf of a defeated and humiliated Azerbaijan turned out to be nothing more than saving their artificial state from further humiliation and Armenian advance to fight another day and we see the consequences of our trust today. Despite countless difficulties, the Armenians in 1994 won the war imposed on them by the artificial Azerbaijan republic and liberated the ancient Armenian province of Artsakh from Azeri occupation since 1921. People who win wars don’t make concessions and any concessions they make should be voluntary. As the old saying goes: To the victor go the spoils. It is no secret that genocidal Turkey, with no connection to this conflict whatsoever, is using it to do harm more than they already have. They have no ways and means to combat the tenacity of the Armenian nation in pursuing the Armenian Genocide recognition throughout the world so instead they resort to closing borders to punish the Armenians for their pursuits by suffocating Armenia economically and claim it is in solidarity with their Azerbaijani “brothers” when in fact these two nations were unknown to each other until 1991 after the collapse of the Soviet Union. There was no provocation on the part of Armenia against Turkey to close borders but only rewards by Azerbaijan to supply Turkey with Caspian oil at dirt cheap prices for its anti-Armenian stand. Never and ever trust these two illegal and artificial Turkish and Azerbaijani nations, respectively.